Enjoy the warm, spicy scent of Chai. It’s like a warm hug on a cold day. Caution for those with nut allergies, this lip balm contains almond oil. 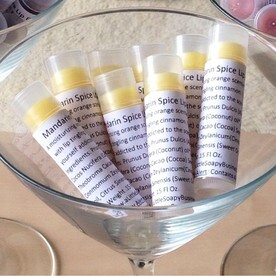 A moisturizing orange scented lip balm with lip tingling cinnamon. You’ll find yourself addicted to the scent-sation! 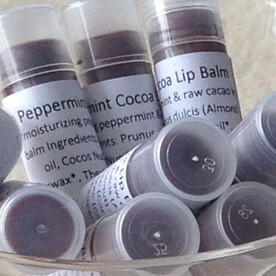 A silky smooth, moisturizing peppermint & chocolate lip balm. A taste of Summer! 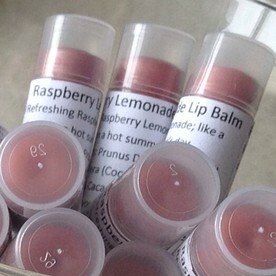 Bright and lively Raspberry Lemonade flavour in a light pink colour lip balm. Warm and delicious Vanilla flavour for Vanilla lovers.